Amanda Quail is the Growing Up in Ireland Survey and Data Manager and is based in the ESRI. 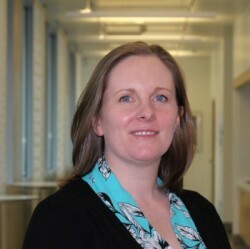 Amanda first joined the ESRI in January 2003, where she worked as a Surveys Executive in the Survey Division before joining the Growing Up in Ireland team as a Research Fellow in April 2006. She is currently the Senior Research Officer (Survey and Data Manager). Prior to her work in the ESRI she also worked as a research assistant in UCD and Australia and as a residential childcare worker for the North Eastern Health Board. She holds a Doctorate in Childhood Studies from Queens University Belfast as well as Bachelor and Masters degrees in Social Science from University College Dublin. She has also completed a postgraduate diploma in Statistics from Trinity College Dublin. See more about Amanda’s work and publications at the ESRI here.